India's Ambassador to United States Navtej Sarna said that the India-U.S. relationship have been transformed into a global partnership. "One major factor that contributes to the India-U.S. global partnership is the challenges that the world faces Today, and both the countries stands together on many global issues. They have alignment and strong convergence on countering terrorism and maritime security. There is a challenge to keep your waters free for legitimate navigation, trade and energy transport and again, India have a convergence of connectivity, on various theaters particularly like Afghanistan," Sarna said while delivering a lecture on 'India-U.S. - A Global Partnership in Hawaii, America. "When U.S .is looking for a partner in its global outreach and finds a democracy, economy with a huge potential, think in similar value system, reform minded leadership and strong defence capabilities, I don't think U.S. can find a better partner than India," Sarna said. "Indo-U.S. relationship is unique and today it is on a strong bilateral wicket. In all these years both Washington and New Delhi have used the change in administrations as an inflection point for making the relationship stronger. Elaborating on how the Indo-U.S. ties have thrived during the changes in New Delhi and Washington administrations, Sarna said "It's a relationship between the world's largest and oldest democracy. Its relationship based on convergence of fundamental values, freedoms and individual values." 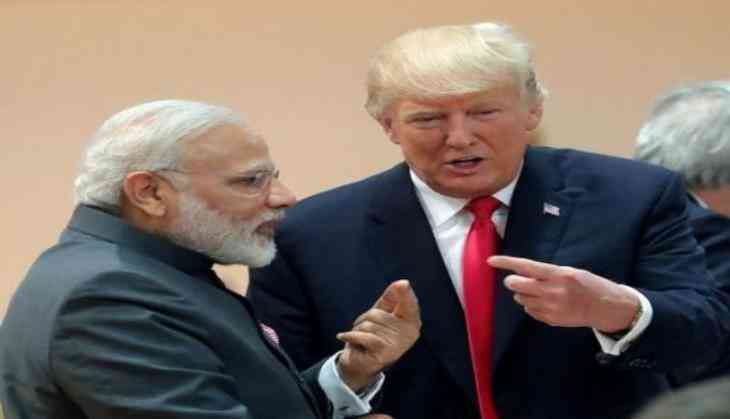 There are various areas in the economic relations where India is looking at U.S. for more cooperation to balance the trade between the two countries. "India's civil aviation market is the big sector and during Prime Minister Narendra Modi's visit to U.S. India had placed order for 200 planes," Sarna added. Talking about the cooperation in the field of energy, Sarna said he had the "privilege of flagging of first shipments of crude oil from U.S. to India as two Indian Oil Corporation Ltd. (IOCL) and the Bharat Petroleum Corporation Ltd have placed order for over 6 million barrels of U.S. crude oil and all these purchases will contribute to the balance to US-India trade." "There is a sea change in our relationship which is much richer and broad based. Both the countries have very strong people to people ties. India has a strong and successful diaspora," Sarna added. "There has been a bigger boost in the economy as in India now there is a bankruptcy act in place, commercial courts have been set up and Prime Minister Narendra Modi has stressed on moving up the scale of the ease of doing business in India and for that purpose 7000 new changes have been made in business rules and regulations that make easier for foreign countries to do business in the country," Sarna stated. India's Envoy at Washington said that Prime Minister Narendra Modi's visit to United States was 'extremely successful and useful' and the joint statement speaks for itself about the convergences. Sarna also talked about Indo-U.S joint statement which specifically mentioned about terrorism, "On Terrorism Pakistan should not be using its territories or territory under its control for fomenting terrorism in other countries." He further said, "There is also a strong statement for cooperation in Afghanistan and how India's role has been recognized and India has been assisting Afghanistan in rehabilitation and reconstruction process."